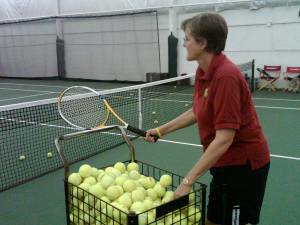 Enjoy watching your child improve on form, stroke and game play strategies, while having fun and getting lots of exercise! 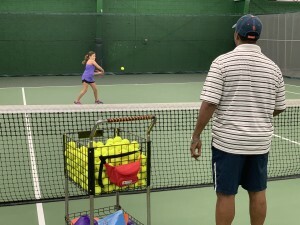 At Gina’s Tennis World, we work with your children to help them progress as their tennis and athletic abilities improve. Check out our current and upcoming schedules, and use our quick and easy sign-up forms to register for your preferred day and time. We look forward to seeing you soon at an upcoming junior clinic!